Oldies queen Conny celebrates a career spanning 35 years of performing the genre. 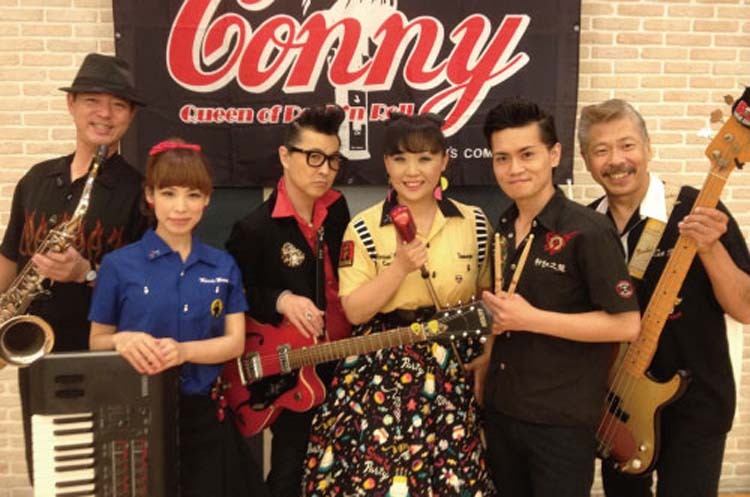 From Buddy Holly to Elvis to Jerry Lee Lewis, and even the Beatles, Okinawan people love listing to rock ‘n roll oldies but goodies, and this weekend one of Japan’s best known singer of the genre is performing in Okinawa. She will also perform a 35th anniversary show at Birdland in Nago, Friday, starting at 8 p.m. Tickets are ¥3,000 in advance, or ¥3,500 at the door. She’ll do yet another show on the 15th at Live House MODs in Mihama starting 7 p.m. This is a charity event for Okinawa Prefecture traffic orphans development charity. Ticket to the event cost ¥4,500 in advance, and ¥5,000 at door. Special guests at this event include Sho of Yokohama Ginbae fame and Hei Tiare Tahitian dance group.